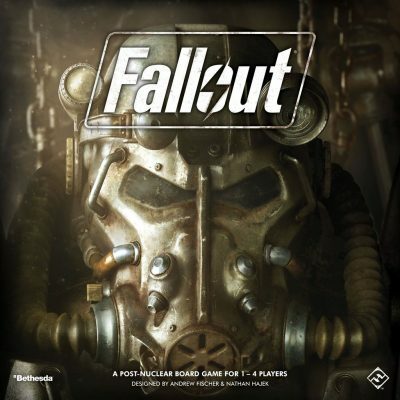 Fallout: The Board Game was one of Fantasy Flight Games’ biggest titles and was actually released at the end of 2017, but I didn’t review it until the New Year, so it counts. Being a big Fallout fan, I was massively hyped when I learned that a tabletop version was being produced that included cool looking miniatures, was story driven and was being published by a reliable company of whom I own many of their games: What could go wrong, you might ask? To keep this balanced, I’ll tell you what I liked about the game: The miniatures were indeed stunning, as were the rest of the components, which also included some really cool custom dice that did a great job at simulating the V.A.T.S. from the video game. My favourite part of the game was the ‘encounter’ system that provided players with a story-driven deck of cards that would give players some narrative and then make them chose between a number of options that all had consequences, depending on their choice. These cards often activated other cards that would be added to the deck, meaning the choices you make early in the game can reward or firmly bite you in the backside later on. I loved this system, which in my opinion is the best form of it that I have played, and that includes the ‘crossroads’ systems from Dead of Winter that previously held that mantle. Fallout also came with various objectives and a modular tile playing surface, meaning replay value could be very high; I say “could” because this is the part where I explain my decision to give Fallout the title of most disappointing game. Put simply, the scoring for victory points in Fallout is absolutely atrocious and, for me, makes the game an unsatisfying or unrewarding experience. It is also the reason that I have not played this since a few weeks after reviewing it for Gaming Respawn. The way in which players score victory points is to draw from an agenda deck, and this immediately makes scoring random, meaning the player is at the mercy of an entire deck. For instance, player 1 could complete an objective that took them several rounds, cost them resources and might at one point even have killed them. On completion of the objective, they pull a card and get one point. In the meantime, player 2 stumbles across a totally random mini-objective that they complete in 30 seconds, only when they pull from the same agenda deck, they score four points: I mean, what the hell is that, FFG? For this reason and this reason alone, I will not play Fallout, a game that has so much thematic awesomeness about it, again until it is fixed, which actually makes me quite sad. Even so, this scoring system makes the game devoid of strategy and can even screw players over by forcing them down routes that they do not want to take. It hurts me to say this, but Fallout was by far my most disappointing game of 2018. 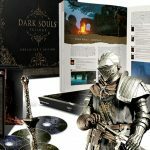 The premise of the experience (not really a game, per se) is to uncover strange goings on at a certain house, which may in fact be dangerous. You do this by reading through a deck of numbered chapter cards that will have some (narrative sounds too good) text on them and often a number of choices for the player to make. Depending on what choice you make depends on the next chapter card that you will read, and in this manner the AI will drag you (kicking and screaming, in my case) through the story sometimes making you roll a standard D6 in order to complete a random test until you read the final card and the ‘experience’ ends, putting you well and truly out of your misery. As with Fallout, I will balance this argument with what I liked about the experience: IT ENDED! Now for what I didn’t like: Firstly, the components were so cheap that it was beyond belief, with thin cards, a box insert that actively prevented you from getting these components out, awful artwork and a storyline that my 7-year-old son has already outgrown. Secondly, and perhaps more importantly: Player choices mean absolutely nothing; a card could ask you to walk through the left or right door, you choose left….BOOM, DEAD. So you go back, choose the right door and on you go. What is the point? The ending, of which there’re several, is equally as ridiculous and unrewarding. 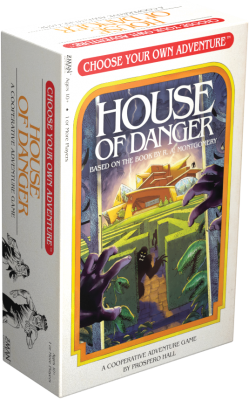 Choose Your Own Adventure: House of Danger is not a game, and if it is, then I want no part in gaming anymore. House of Danger is a thief that stole 2-3 hours of my time ‘playing’ it and even more of my time writing about it. I will never even entertain the idea of going near House of Danger again, which is why I have made it my worst game of 2018. 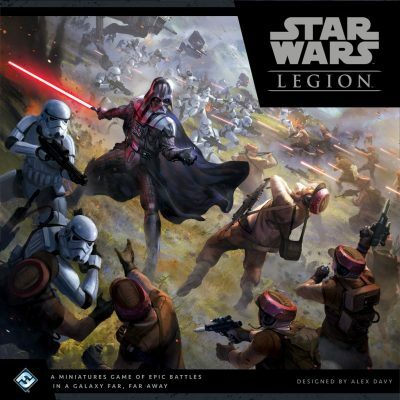 Prior to the release of Star Wars: Legion, I had never fully committed to a tabletop war/skirmish game, having reviewed or simply played several ; too many books, charts, extortionate costs and overly complicated game mechanisms had always prevented me from doing so. 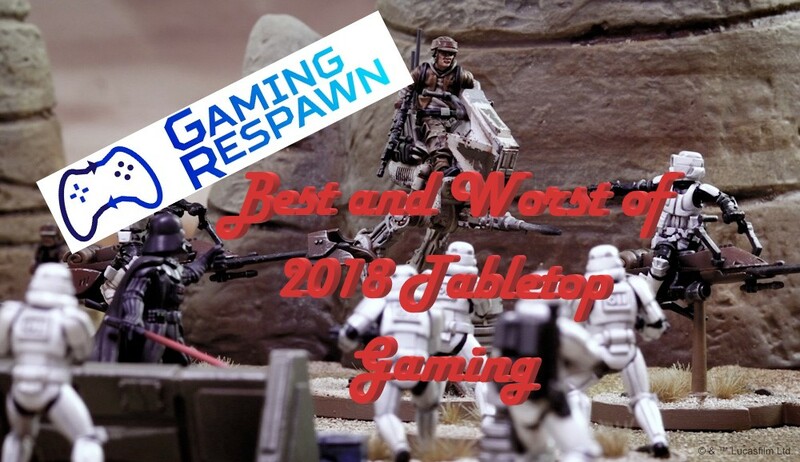 Star Wars: Legion has changed this in the strongest of terms and is not only my favourite game of 2018, but it is my most played game of the year and also the game I have put the most number of hours into with both collecting and painting, which I continue to do to date. The core set of Legion pits Luke Skywalker and his brave Rebels against the ruthless Darth Vader (best bad guy ever) and the might of the Galactic Empire in 35mm miniature goodness. The minis are outstanding for the price you pay, with each character or squad having their own abilities and personality, meaning the theme of Star Wars truly shines through. A simple line-of-sight system and fast dice combat resolution shows that Fantasy Flight Games have taken their board gaming experience, ripped out time-consuming and outdated mechanisms and replaced them with quick, easy to use and, in the case of ‘movement’, innovative ideas that make the game flow and allow players to concentrate on tactics rather than struggle against the game itself. 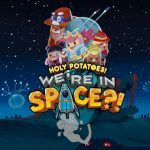 With a number of different objective, deployment and condition cards, each game will be unique and is definitely not the usual ‘blow your opponent off the board’ game like other tabletop wargames, instead being replaced with an in-depth strategy game that can be played by experienced gamers or a 7-year-old child. The core box itself is great value compared to its counterparts, and FFG have shown that they are fully behind the game by releasing numerous expansion units, such as Han Solo, Chewbacca and his Wookie Warriors, as well as Emperor Palpatine and his Imperial Royal Guard. Prior to Legion, when asked what my all-time favourite game was, I would immediately answer: War of the Ring by Ares Games. Now I couldn’t be so quick to answer, so I will simply say that, for me, Star Wars: Legion was my best game of 2018.